Happy first day of fall! It’s a new season — a chance for a fresh start. I’m wholeheartedly embracing this gift. It’s time to shake off the old and create something new. Since it’s been a little while since my last post, I thought I’d give you a little life update and catch you up on what I’ve been up to lately. Fair warning: the first one is tough, but it gets lighter from there. There are some seasons in life where I’m surefooted and energized — words spill out freely, ideas come together naturally, and creativity flows. But other seasons — like now — I’m anxious and lost. Words dry up, thoughts become cloudy, and I have trouble finding true north. There’s no denying the pain and turbulence in the world. It weighs heavy on me. I’m in this eyes wide open — deep things are stirring in my heart, beliefs are shifting, and I’m having wake up call after wake up call. Deep down, I welcome this because I know it leads to growth. But right now, as much as I wish I could say I’m going with the flow and riding the waves, the truth is I’m sinking underneath it. It’s really hard for me to write that. But I feel the need to share it in case you might be feeling the same way. If you are, I just want to encourage you: You are not alone. We’re in this together, and it’s okay to have dark days, dark months, dark seasons. Someday I’ll have more perspective on this, but for now, let it be enough to acknowledge that the darkness is part of the path — the darkness doesn’t mean we’re off the path. I don’t know if I’ve officially said this or not, but sharing music with you guys is my favorite thing on the planet — more than outfits, more than packing tips, more than anything. Music. Good music can work wonders on my headspace, and fall, in particular, always brings me back to music that’s a little bit nostalgic, retro, and acoustic. 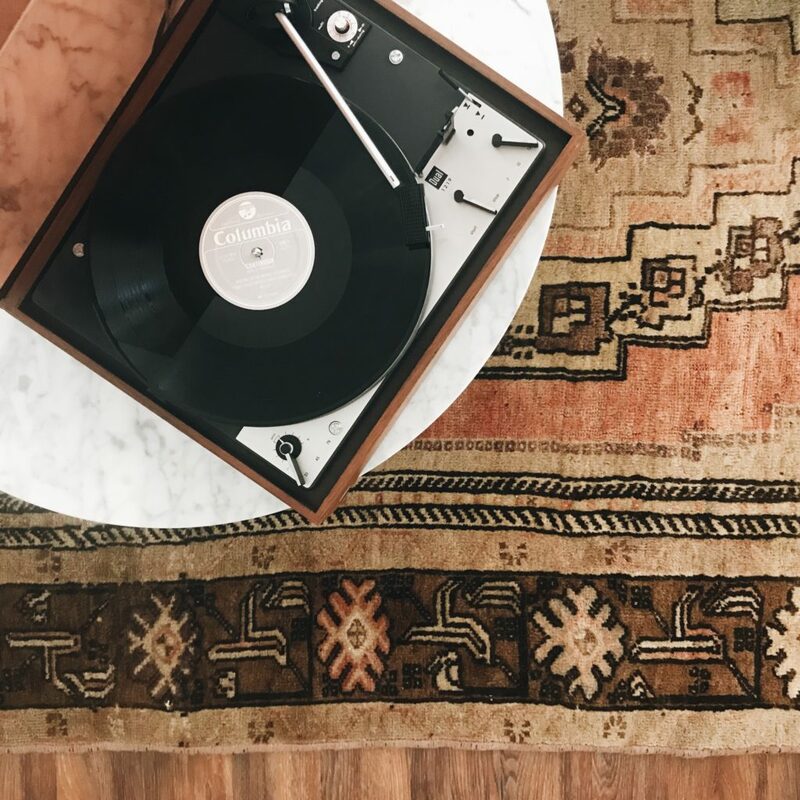 So today I want to share two of my favorite fall playlists with you. Next, it’s counterpart: Cheel Good Fall. Yep, mix “chill” with “feel” and you get “cheel.” The vibe is more quiet and soft, but with that same acoustic-y retro vibe. It features artists like Iron & Wine, Jose Gonzalez, Alexi Murdoch, and She & Him. Put it on when it’s cloudy and cool outside. Bonus: Here’s a playlist full of chill instrumental guitar music. Put it on when friends come over for dinner, or when you’re needing to buckle down for a long, productive day of work — works equally well for both. Aaron and I have been trying to decrease our amount of TV time lately, so instead of watching TV at night, we’ve started taking long walks. And what better to pair with a long walk than a long conversation? 1 | Personality tests: Even though we’ve both taken these tests before, it’s been fascinating to retake them and see how much we’ve changed. We’ve learned something new about each other with every test taken. A few of our favorite tests? The Myers-Briggs Test (this one gave us days of interesting conversation), the High5 Test (kind of like a free version of the StrengthsFinder Test), the Enneagram Test, and the Dosha Test. This is a big one you guys — I started yoga teacher training this month! Even thought I’m a mess of anxiety right now, I’m so grateful to start this year-long journey. I’ve wanted to do it for a while, but there’s never been a place in Abilene that offers teacher training. Until now! This round of teacher training is the very first ever in Abilene. It means so much that I get to train here, in my hometown, at my home studio, with teachers I know and love. Last year, the number one lesson I learned about my wardrobe was to dress for real fall, not fantasy fall. Another way of saying this? Be present. See, I used to have this fantasy idea of what a fall wardrobe should look like: sweaters, boots, sweaters, scarves, and more sweaters. Buuuuut, I live in Texas. A fall day here is usually 70-80 degrees. It’s not sweater weather, but it sure is beautiful! So my goal this year is to continue enjoying what’s in front of me — my daily activities, my lifestyle, my weather — and base my wardrobe on that, instead of the fantasy. My plan is to use color and texture to channel those classic fall vibes, while staying true to our warm weather. Think mules, mock necks, and short sleeve sweaters. Yep, it’s going to be good! Stay tuned — I’m sharing more fall wardrobe thoughts next week. So enough about me, how about you? 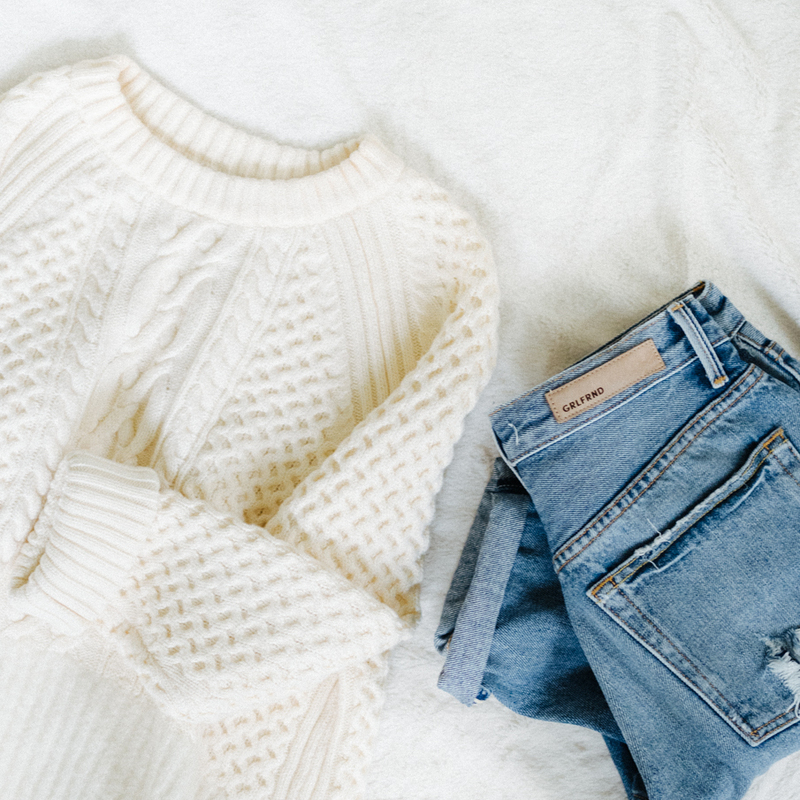 How’s your fall wardrobe shaping up? Got a fall playlist to share? Got any yogi YouTubers to recommend? And is anyone having a harder time than usual too? Catch me up on what’s been going on with you. I second this; I absolutely love your playlists and look so forward to the times when you release them. Thank you! I couldn’t agree more with the above posters – Love the playlists. Also – I hear what you’re saying about the darker and confusing feelings. Thank you for saying it out loud. I think it happens to most. I like the quote you posted. Oh let me guess! INFP! Anxiety is the worst. I hope you make it thru soon love! So so good to see you back. Thanks for your openness and honesty. Anxiety is a beast but I like you reminder that darkness is part of the journey. I am just emerging from my own dark period and this really helps. Congrats on YTT! I start in a couple of weeks and so excited/nervous. Thanks for posting the link to the jute yoga mat…I may have to get one of those! I wish I had something inspiring or encouraging to say, but the truth is a lot of what you wrote resonates with me regarding what’s going on in the world. I live in a big town close to London and it seems like there is no end to the bad news. The natural disasters are a beast of their own, as well. It feels like everything is in flux and it’s worrying to think where we’ll head from here. For a lot of folks around here the mentality seems to be “it’ll get a lot more worse before it gets better” and I’m not sure if they’re wrong. That said, this isn’t the time to give up or wallow in the bad news. This, too, shall pass, and we should strive to do our best to stay on the path no matter how rocky it gets. First to comment, how did that happen? So glad you are “okay,” Caroline! I’ve been thinking of you, with the hurricane and all, and not having any email notices of a new post. I’m sorry to hear you’ve been feeling anxious. I’ve not been “well” either! Like you, so worried about the state of the world. It’s pretty overwhelming. I’ve also got some personal things going on. My cat, Kitty, has disappeared and it has affected me in ways I wouldn’t have thought possible. There are other things, too, and I just can’t see any clear cut answers on the horizon. Also, like you, I know it’s part of the journey, though it feels awful. Being prone to depression, I’ve learned from a wonderful therapist, not to let my thoughts wander down those old negative pathways. I’m so glad you have your husband, your music and your yoga to focus on and hope you start to feel better soon. I HAVE to say, our daily yoga routine is identical. Every morning I do a meditation and Yoga with Adrienne (I adore her). How coincidental! Also, I’ve certainly gone through those dark seasons. Especially after my second baby (probably postpartum). Meditation brought me back to the light. Really really cool post. Thank you for all you wrote! Enjoy the yoga training. Caroline, thanks for sharing your thoughts. I am also in one of those dark seasons you mentioned, so it feels nice to commiserate. But, I want to congratulate you on starting your YTT journey! As someone who has completed a 200 hour YTT, I can honestly say it was the best investment I have ever made in and for myself. Congratulations again, and I can’t wait to see where this journey takes you if you choose to share it with your readers. Om shanti shanti shanti. I hope your YTT is going great, I start my 200hr YTT TONIGHT!! Eeeee! Are you enjoying it? Would love to hear more about your experience. I also love that you and your partner are trying to reduce TV time, definitely something that my hubs and I need to do. Great links – thanks so much for sharing! I’m so sorry you are feeling low right now, but it seems as if you have a good attitude to it. I totally agree with you about music and look forward to listening to your play lists! I’m really excited for you to be training as a yoga teacher, I’m also a big fan of Yoga with Adriene and am currently redoing her Yoga Camp, which is what switched me onto daily yoga. I hope it will be a restorative space for you. Much love. If I lived in your town, I would love to take one of your classes. I’m sure you’ll be great. Meditation always helps me re-focus my mind on what’s really important. Best of luck to you! I’m in the midst of a dark season – hell, a dark year – and your perspective and the quote you shared – is honest and refreshing. I have a tendency to not give myself the space or the time to honor the recursivity of grief and sadness. For me, the darkness comes and goes. While there are certainly seasons marked by more sadness or more joy, I’m learning that it’s okay to have a dark week in a joyful season, and vice versa. It actually makes the dark seasons less dark, if I can honor exactly how I’m feeling each day. I say all that to say, I’m right there with you. I’m so sorry you feel at the moment in that way. Thank you so much for your honesty as I really can imagine who hard it was to write down. Personally, I recognised that these phases in life decrease the older I get. Nevertheless, I agree absolutely that such times hard but so important for the personal growth. And btw I stopped watching TV many years ago – it is so time saving and I never miss it. Instead I read books and write a lot. All the best to you! Thank you for sharing – I can easily relate. Some season of life require more than we ever thought we had to give, some are easier, lighter. Yoga teacher training is big news! I teach barre, but have many yogi friends (I teach at a multi-use studio). You will learn so much about yourself, which will only make you a better teacher. Your ability to connect with others will serve you well. Looking forward to more blogs! Thank you. Once again your thoughtful and wise words are a huge encouragement. Thank you for thinking of others and using your situation to reach out to those who just need a little light of hope to get them through. It’s great that you are not being defeated by the dark but facing it, feeling it, thinking it out and keeping on. One of the things I appreciate about you Caroline is your constant thoughtfulness and awareness to yourself, others, and life in general. 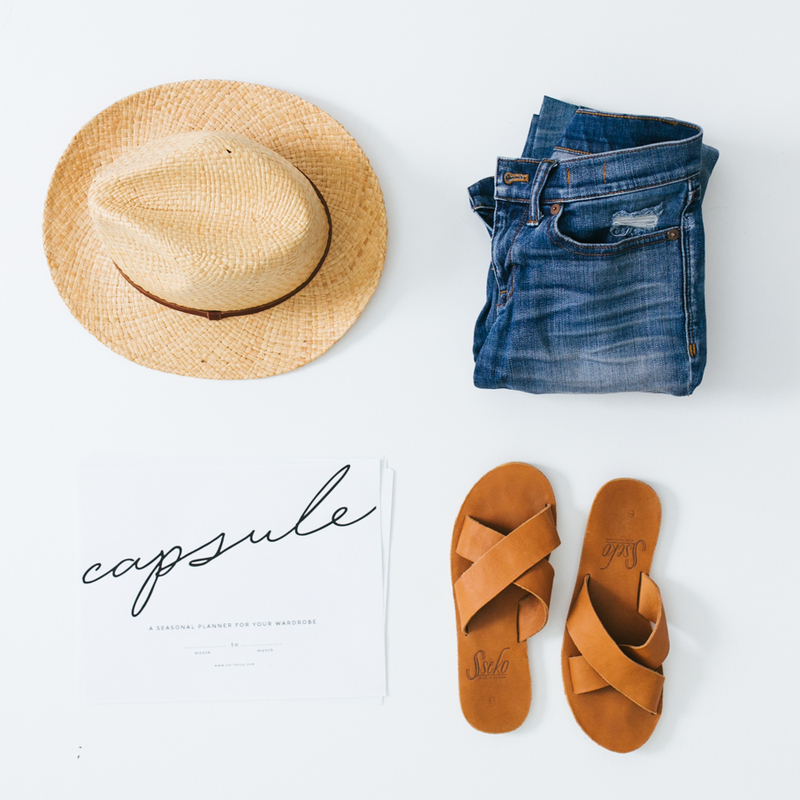 Although I’m far from jumping on the capsule wardrobe train (my closet is living proof!) I love that you remain active in each of the decisions you make. Obviously, our choices we make are action – but I mean that you strive to be in tune with the whole aspect of that choice and the outcome it has. Thanks for always being honest! I can’t tell you how many times I use the “How fascinating!” when I’m on the verge of tears of a mistake I’ve made. Glad you’re back Caroline. Missed your posts! Thank you thank you thank you for sharing your playlists, I always enjoy your music selections, its such gift for us. Best of luck with the yoga teacher training, I’m sure that will be an amazing journey. I enjoy Adrian’ s YouTube classes too, and also Leslie fightmaster… check her out, she has a wonderful channel! Sending good thoughts and vibes to you, you’re such an inspiration to so many. Thanks for sharing with us and for all you do. You are a strong woman, and I’m encouraged by hearing your perspective on this dark season. Hang in there. I’m praying for you this morning. I look forward to learning about your fall wardrobe, how you’re approaching it since it’s not a capsule, and how enlarging it feels to you. It’s so nice to hear from you. I’ve missed your posts. You have a fantastic attitude toward change. 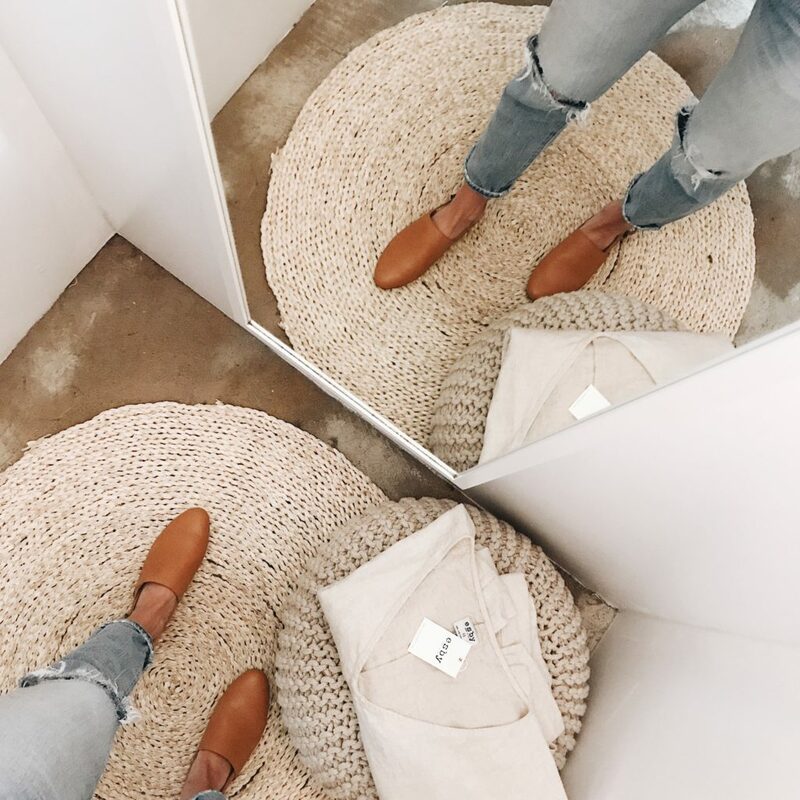 Fun fact : for two years now, I’ve used your Fall Wardrobe as inspiration for my… summer wardrobe! lol! 80 is a common summer day in Montréal! Talk about “fantasy vs real” :p You helped me make my peace with that! Thank you for being honest about your darker times. I feel as if I’m finally coming out of my year+ long fog, and I hope the clouds lift for you soon, too. These natural ebbs and flows of life are normal, and it definitely helps to remember that the lows are temporary. knowing this inspires me to patience. Even if I never physically heal, my soul is intact! This is likely all very strange to you but believe me, it beats Yoga! Your American penny states “In God we trust” and that’s exactly so: it certainly was the end to my search for life. And the beginning of life. Just a note: I would love to see your colour inspiration for Autumn! Please? Up here in Canada sweaters and scarves are reality and I know how lucky we are to wear cozy clothes, cuddle without sticking 😉 And enjoy great conversations, yes please! The Harvest is in and we share our bounty..
Hi Caroline:) I so appreciate you. Thank you for being vulnerable and sharing where you are at. I think that is one of the best gifts you can give to others, the message of “You are not alone.” So thanks. And thank you for Unfancy. 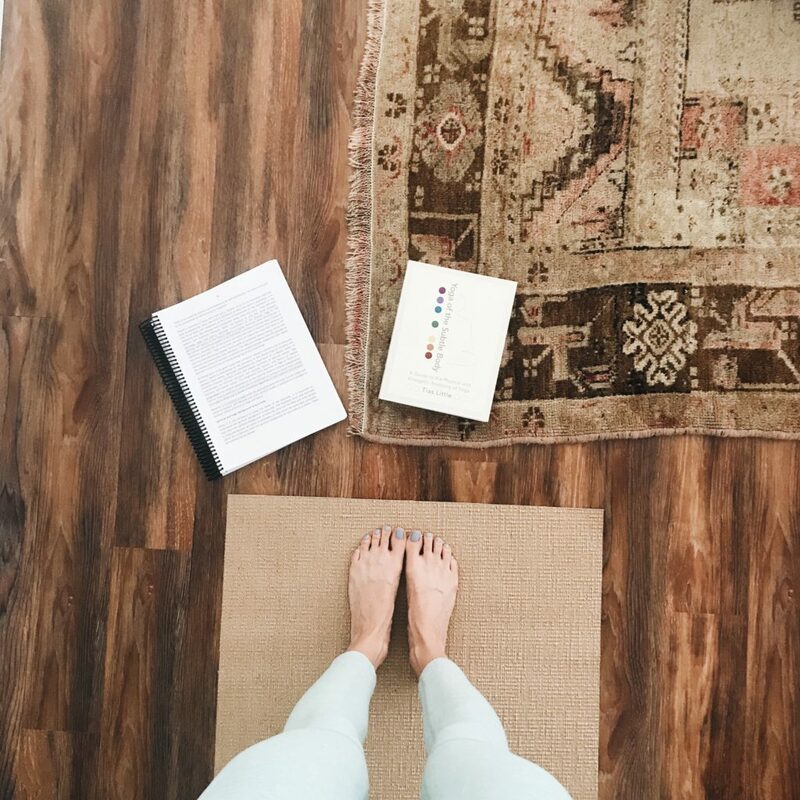 Reading your blog has been a part of my routine for over a year now (along with Yoga with Adrienne…LOVE her!!). I always walk away feeling inspired and reminded to focus on what really matters – loving the clothes I’m in, loving the people I meet/know, and being real, authentic me. I hope this hard season passes soon. You are loved and you are not alone! I LOVE Adriene!! She’s such a great balance of earnest and completely unpretentious. On a separate note, once you begin something successful in this weird web space, it becomes more and more difficult to shake off expectations and follow an authentic path, but you always seem to be willing to take that risk-good for you!! Thank you for putting this out and into the world – sending you warm thoughts and prayers from NoVA and wishing I could take the yoga classes you’ll be teaching! 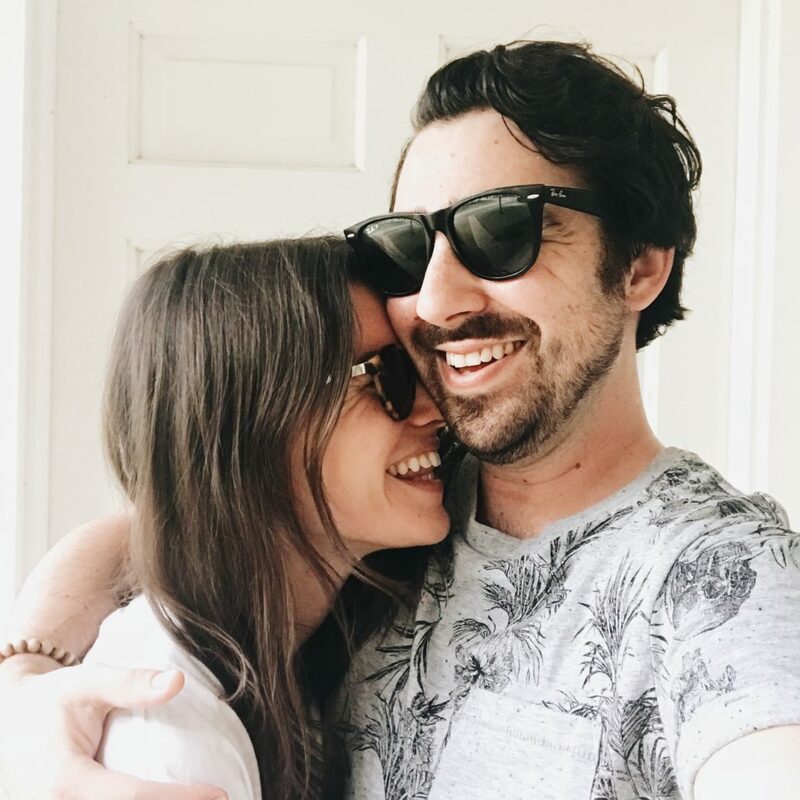 I think you once mentioned that you’re an INFJ – I am, too – and this season/living in the world right now has also been really challenging for me. Your description of having awakening after awakening is deeply familiar, though I admit I’m not exactly sure what to DO with all these new ideas. It feels harder than usual to do it, but I’ve found that lovingly taking care of my body and being careful about the information/stimulus I let myself take in is essential to my well being. For me, that includes purposefully taking in what I know to be true. The She Reads Truth app, Brene Brown’s new book, and Parker Palmer’s A Hidden Wholeness are my current lighthouses. I missed you, and your posts A LOT! My husband, and I had a son August 26th. We also celebrated 15 years since our first date! My heart was heavy with the darkness of racism before lately. My husband is a 6’3″ 210lb black man. Every time he leaves our home I worry about his safety. Thinking is his car too nice, should he not wear a fitted, if I was with him would my white privilege protect him…. Now we have a beautiful, healthy, sweet boy who everyone says is cute because he’s small, and not seen as a threat, but it’s only a matter of time before that changes. I don’t know if we’ll ever be able to prepare him for that, and it breaks my mama heart. On a much lighter note fall is my favorite season. Living in upstate New York we definitely get the weather to go along with it! I did a 16 piece maternity capsule for my pregnancy, so I was excited to shop again! Maybe too excited… I got Everlane’s skinnies in stay black, boyfriend in mid- blue and heavyweight tee in burgundy stripe. Got a really cute striped dress from Gap. Some black high top converse to replace a pair that bit the dust after 6 years of love. That is so cool you are becoming a yoga instructor! It’s something I thought of doing before. Living in a college town there’s lots of opportunities for that kind of work here, and it’d be flexible schedule. I think anxiety, and stress are what bring a lot of people to practice yoga, it’s what got me there in high school, so it seems like a good place to start. For me, a lof of yoga is learning to breathe even when you are uncomfortable. Learning to just be okay with that. I don’t follow anybody, just do my own thing, and go to classes when I can afford to. Best wishes, and I know you’ll keep us updated on your journey! Also thinking of all the current politics, the fact I, and my baby could loos healthcare, hurricanes, tornadoes, among other things…. When you travel with your steamer, have you ever had your luggage checked for shoe bombs? I recently flew across the country to visit friends and family, and attend a wedding. I guess the way I packed, the steamer was relative to the shoes in a way that looked like “electronics inside the shoe”, according to the TSA agent that tore apart my bag. Just curious! I hear you on the darkness part. I’d been feeling it too. To paraphrase the Handmaid’s Tale (oof), there can only be shadows because of the light. If there were no light, there would be no shadows either. I don’t blame you at all for taking a big step back, making some changes in your life, and starting some things that nurture and excite you. I’ve been doing the same, taking on fewer responsibilities, reading more, spending more time in my garden. At first it felt selfish, but I’m finally feeling okay about that! And it’s really helped me make space for myself, which is important. So congrats! And enjoy yoga teacher training, I’m sure it will be profound. It’s not easy seeing what’s happening in the world. We just spent the last 2 years living in central London, and my husband used to take the District line to work everyday. We lived through a lot of similar attacks during the last 2 years and I’ve never felt such relief to leave a place in my life. The spate of hurricanes and earthquakes and fires (which came too close to us for comfort), have been just overwhelming. What I’ve learned is that you just have to keep putting one foot in front of the other and find a way to help if you can. Even just acknowledging what’s going on and talking about it can really help. It sounds like you’re doing a lot of things to help with what you’re feeling, exercise, talking with someone you trust, admitting that you are struggling. I think a lot of us are, and it’s really important to be having a conversation instead of keeping it to ourselves. That’s such a great passage, thank you for sharing, Jennifer. We do live in a dark world and it’s going to get darker. But the good news is that Jesus is the light of the world. He shines brighter and brighter in these evil times. We have to keep moving toward the Light. I think many times that we go through dark periods so that all worldly pleasures and aspirations, even disappointments and crises and confusion, will dim in comparison to our relationship with God, who is the ONLY true source of joy and contentment and peace. I’m sorry for all of us feeling down in the dumps, but lets keep our eyes fixed on Jesus. Missed your sincere posts! I am happy that you opened youself and that you are so real in your writings. I love that you recommended the personality tests and also the yogi youtuber Adriene. I have found her last winter after I accepted a 28 days yoga challenge with Schuyler Grant and after finishing it, I wanted more but then spring came and my yoga sessions were exchanged with parks, hikings and weekend escapes. Now I miss them as the cold weather came back in Romania. We have 60 degrees here today. Rainy with showers. And your post came in perfect timing with it. Until this week, it was summer and so was my wardrobe so I had not changed it yet to fall. I do not own so many clothes so it was easy to find a sweater and a jacket. Maybe in the weekend I will fall in love once more with my fall clothes and they will stay up front in my wardrobe. So long wavy dresses and loose chinos. It kind of makes me sad that it is cold outside and it gives me a not so positive state of mind, but as you said, this is part of the path. I am trying to cope with it and discover new things I can do in the rainy days. I know it sounds like heaven to get under the blanket and read a good book while sipping a hot tea but we are not always do that, do we? You get tired of all this pinterest image that gets stuck in our heads and we forget about the alternatives which are more realistic. I am tired when I get home after work, I need to cook something, I need to feed the cats and do other stuff that pinterest does not show so now I am in the middle of finding the joy of doing this. I think my boyfriend got the feeling that I am a little bit sad over the weather so he keeps searching for new TV series to “netflix and chill” in the evenings but sometimes I get tired of them so your suggestion with the long walks and talks came in very handy. Thank you that you are so human and down to earth type of person. I have the feeling that I can talk with you for days and never get bored. It`s been three years now since I am reading your blog and I like your beautiful soul and mind. 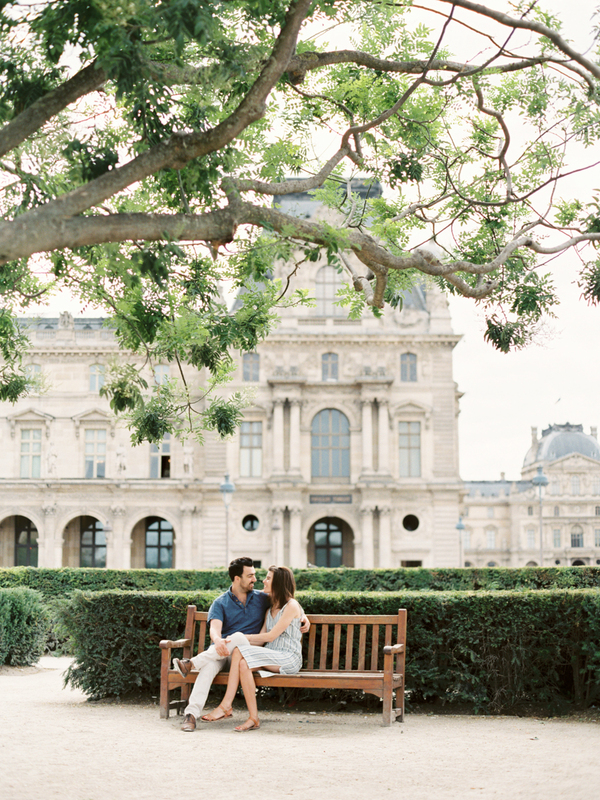 Caroline, it’s so nice to see you on the blog again. You have truly been missed! I’m sending lots of warm thoughts and wishes your way as your navigate this difficult season of life. I don’t know the first thing about yoga, but I wish you all the best with your training and hope it brings you joy and fulfillment. <3 Also, can I say amen to the less tv thing? My husband and I had the same conversation recently about that and phone time, too. There's something refreshing about taking a walk hand in hand and reeaally spending time together. As FAR AS MY FALL WARDROBE GOES, IT'S A WORK IN PROGRESS AS ALWAYS. :) cAN'T WAIT TO SEE WHAT YOU COME UP WITH! I relate to this so much, and I’ve missed you so much since you are one of my joys in this dark time! Your bright spirit, your commitment to sustainability and simpler living, and your gentleness are such a blessing to so many of us. But! I am so glad you’ve taken time to process and reflect on this insane time. I’ve been feeling such a dark cloud over my spirit this year and it is frightening while simultaneously challenges me to work harder on being a more connected person and giving person. It’s a painful time. You are not alone! And thanks for sharing with us. Honesty is so beautiful and we appreciate it so much. This was a beautifully written post. I too have been feeling very anxious lately. It is nice to know someone feels the same way. Thanks for the music recommendations, and good luck with yoga teacher training! I will be starting yoga teacher training at the end of October, and I am right where you are in those feelings of anxiety in general about our world and these major issues and then coupled with feeling that I am not where I “think” I should be, to be able to start teacher training. But from all teachers I have talked to including the owners of the studio I go to…you never are ready, as is the case with most things in life. haha Thank you so much for your comforting and inspiring words and your time with this community! It is amazing! God yes, it has been so incredibly hard to be a good engaged citizen without crumbling under the weight of ‘am I doing enough?’ and ‘how can I fit more?’ and ‘does it even matter?’ Self Care is so key to all of us and I’m loving to see the ways in which you’re doing it–so healthy! And so excited for your new emerging life. Thank you for writing this too–I did need to hear that it wasn’t just me. Today it’s gonna be 90 degrees in Chicago on the first official day of Fall so I guess I’ll be in the A/C working on my capsule collection! Are you posting these playlists on Spotify? I’d love to follow them! Blessings to you…I usually just skim through your post for outfit inspiration, but this time I actually read it, and I'm glad I did…on a similar journey of Introspection myself, and without family for support, the encouragement (from any source) is welcome and appreciated. Good Luck on your yoga journey (haven't quite felt like myself since I stopped 6 years ago)…perhaps it is time to re-visit. I love your blog and I’m really enjoying your playlists. Keep your head up and stay positive. You’ll get through this….we’re all here for you! Just bought those shoes you have on in the post. Can’t wait to wear them. Sending hugs! Oh, Carloine. THANK YOU! For the work you put into the world that brought me to love my closet in a whole new way, but also for your honesty. What I can say to you, is ME TOO!! This summer (I’m also a Texas gal) has just beat me down emotionally. Some of it is the rough Texas heat, but I’ve been here all my life and this season has just felt HEAVY. I feel like I’m coming out of it by being super aware of the things dragging me down (news, not DOING more and thinking less where I feel I can make a difference, and just a lot more grace for myself along with downtime). I’m so proud of you for sharing and for keeping in mind that this is a season that could lead to growth in the long term. I believe it is the best time for you to start yoga teacher training too. Our bodies can heal and tell us things that our mind just can’t always grasp as quickly. Love all of your work. Thank you for making me feel less alone! Caroline, loved your post! I’m just coming out of a bit of a down time. Life transitions like deciding when and where to retire to can be overwhelming. As of that weren’t enough, what’s happening in the world is pretty disturbing. Social media, news, have highlighted that I am somehow different thinking from many peers but I trust my instincts and take on things more now and I will speak my truth in measured ways. Oddly enough cutting out dairy has really helped my mood and I’m reading more as many here have mentioned. Reading Blessed are the Weird now and did peruse the Highly Sensitive Person. Shall add some good music to my list and keep up the meditating. Clothing-wise I’m in Canada so I’m just trying to stick with fewer pieces and basic colour palate. I’m loving layering two jackets for cold days and will try to wear my boots more. Best wishes for you! I second Yoga by Candace! She is awesome, and her blog/website is also worth checking out. I also love Yoga by Kassandra. In addition to vinyasa videos she has a lot of yin classes that are absolutely fantastic. Yin yoga and learning how to quiet the mind has been so helpful for me in dealing with my anxiety. And if you have a regular vinyasa practice but aren’t doing any yin you are really missing out! Hi Caroline, thank you for the music! And everything else! I love your playlists. Songs on yours always end up making their way over to mine. Welcome back, and truly, thank you for sharing. It’s easy to sink into that dark, cloudy feeling with all that is going on in the world, internalizing and dwelling on it even though those feelings were not invited in. I’m so glad to hear that you’ve found a calling in yoga – I can’t wait to hear more about your journey! After reading your post I heard the song “Sunday Bloody Sunday” on the radio. ~~~I can’t believe the news today. Oh I can’t close my eyes and make it go away…~~~ Believe me, I hear you. I am with you. though we may have different reasons why the world weighs heavy…the world indeed does weigh heavy. Thank you for sharing. It means a lot. Thank you so much for this post. I was getting a bit worried…which seems odd to write. You don’t need to blog all the time..I just love reading this space..and I guess I missed you!! Hang in there…you are going to figure this out. I already went to You Tube and the videos from the School of Life are amazing….thank you for all your resources. I can agree with the fall fantasy! And then I put it all on and I’m melting because Arizona doesn’t get that cold! That was a good reminder as I’m looking into fall pieces! Thank you for sharing, Caroline. I read unfancy because I feel like you’re willing to be real here and that’s admirable. I am also very curious what your enneagram type is! I’m obessed with the enneagram! Thank you for the share, especially of the playlists :) I often build my own playlists based on yours. I wish you a good luck with that new start, yoga teacher training, that’s amazing ! It’s on the list of things I’d like to do in my life. Thank you for sharing your struggles, it’s helpful for people like myself who also struggle with anxiety and the weight of the world to know we are not alone. That being said, I also appreciate seeing you do things to help with that anxiety — I can imagine less TV has been helpful with that (something I’ve been trying to do myself). Over the last couple years I’ve realized I need to drastically change the way I approach situations and how I spend my time in order to keep my anxiety in check, though it still finds it’s own sneaky way in. Exercise and herbal support has been a lifesaver. Have you ever looked into adaptogens? They are a class of herbs that gently help your body adjust and adapt — Ashwagandha in particular has been sooooo helpful to me. Wishing you peace and looking forward to hearing more about your yoga teacher training! Caroline, I’m sorry you’re having a hard time right now. Try the Kolbe personality test. It’s a different twist on the ones you’ve tried. It was lovely to read this post from you today and very excited to download your playlists. Always love them and they sure help me get through some rough days! Thank you and best of luck with your yoga teaching training! Good to hear from you, Caroline, and I’m sorry it’s been a rocky season. You seem to have a great perspective, though, and sending you good thoughts and prayers. It’s all temporary, however hard it is to feel that in the moment. Sidebar: Can I ask how you like that yoga mat? It’s so nice to hear from you! I love the quote you shared and your perspective on the darker days. It’s all part of the whole-ness of life. Thank you for all you share and the light you shine. The Love Languages quiz is also a fun conversation starter. I completely understand living in a dark season of life. Thank you for your honesty. I love how authentic your blog is! I finished yoga teacher training in May and just started my first job as a real yoga teacher! I remember it feeling like a such a wild and crazy risk when I first signed up and and now I’m so grateful for the path I’m on. Enjoy yourself and namaste! I love the ‘mixed tape’ vibe of this blog post. I don’t know if that makes sense or not, but I’m glad you’ve shared everything you did here. Dark, light and music. :) I’m excited to hear more about yoga teacher training in the future — I’ve always been interested in it myself! I’m glad you’re finding a new path and a way to deal with this hard time. Thank you for the personality test recommendations. Who doesn’t want to be fully known? It’s one of my deepest desires. I find so much hope in realizing I am fully known now, and will someday know how all the sorrow and anxiety was really shaping me into the most joyful version of myself. Thank you for your post today! I loved hearing that I wasn’t alone. I know that I’m not the only one who has struggles with anxiety, but it is always comforting to hear those words from another. It is difficult to accept our anxiety in a society that deems it as “bad.” It isn’talways fun, but it isn’t bad. Without the winter there would be no spring. Do your best to embrace this time, all the crying, angry, sleepless moments. Moments that are also met with moments of pure beauty, joy, love and synchronicity that can only be seen through the blurred eyes of anxiety. Hang in there, Caroline. I’ll be hanging in there with you too! I hear ya on the anxiety thing. Especially since becoming a mother 5 years ago I have lost the ability to compartmentalize negative news and tragedies I hear about. I have way too much empathy… especially for the ones involving kids :( One thing I’ve found that helps is staying offline as much as I can. About half a year ago I deactivated my Facebook account. I just found that I was scrolling and there were way more posts that increased my anxiety, than brought me joy. It’s helped…but even still my whole day can be derailed by seeing a terrible sad story on the weather network for god sakes! These days I am practicing feeling the empathy and then reminding myself that this sadness doesn’t belong to me and releasing it. Otherwise I could really be driven crazy in this crazy world. Here’s hoping you find your peace soon! I love this post, thank you. Thank you for touching on the intensity of everything going on in our planet today. Just what I needed to read to kick off fall today. I am excited at the prospect of you doing yoga videos online! I really like Yoga by Adrienne as well, lately have been really committed to breaking down the Ashtanga series just because I am familiar with the practice and can create my own flow depending on how I am feeling. I bought Pact and Zella leggings at your recommendation and both have enhanced my practice on and off the mat. Man do good leggings make a difference! :) I like Hillaria Baldwin’s new book, she talks about wearing leggings as part of her uniform so she is already ready to practice…. 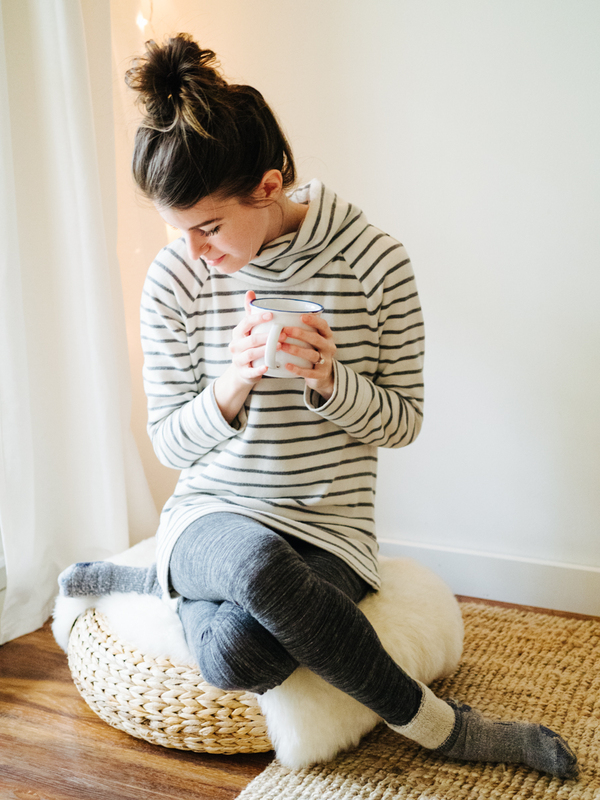 You’ve inspired me to do yoga tonight and to be be present– with the fall season, my ceaseless desire for a zillion sweaters, long sleeve t’s and boots etc. 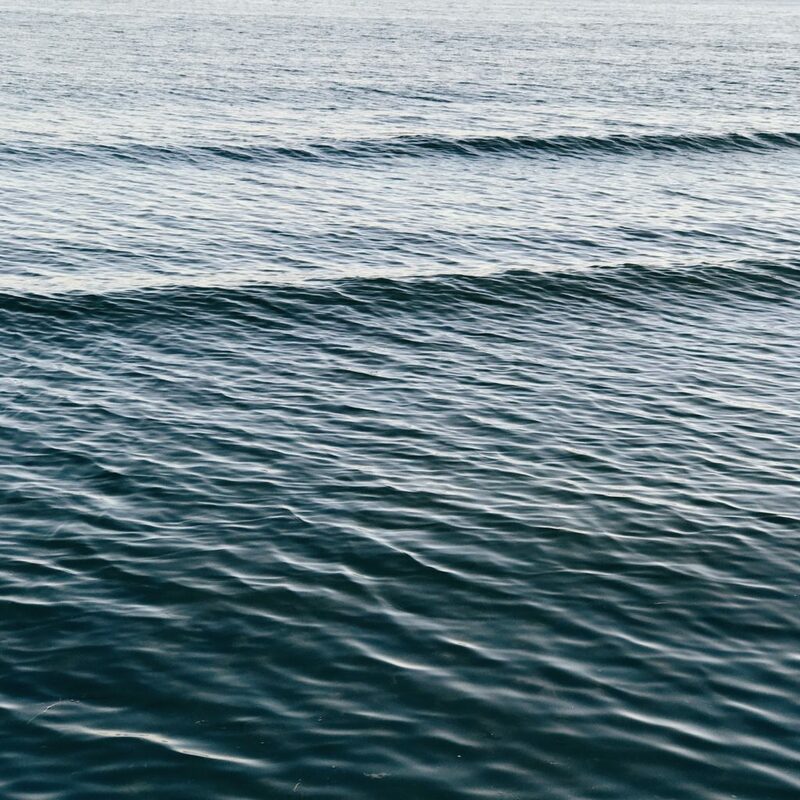 Thank you, for this post – and for the instrumental guitar list, which offered a new regular by bringing me to the “Most Relaxing Spanish Guitar Music” track. Yes. I’d been listening to the same peaceful guitar mix for more than a year – time to slightly shift it up. Also, I’m 42…and going through a sad season in life and relationship right now. Your post reminded me of where I was in my late 20s…and late 30s. You know, we’re all still here, in the same trying-to-figure-it-out place. Yoga practice – since those late 20s – has been my one steady. Still is. So, so much. Also, simplicity and the Tao. Celebrating your teacher training. Huge bow to you, and you’re part in sharing practice. Your Yoga certification sounds so exciting! Are thinking about becoming a YouTube Yogi? If not, it’s still awesome for your mind and body to be practicing it anyway. And yes, we all go through emotional crap. Yoga will probably help so you just have to trust in yourself that you’re going in the right direction. Hang in there, Caroline! Everyone here is rooting for you! And I’m sure you’ll be a wonderful yoga teacher. PS: Do you listen to Emmylou Harris? If not, I can’t recommend her album “Wrecking Ball” enough. It’s wonderful, both for when you’re feeling joyous and when you’re feeling fragile. Big hugs from London, UK! Thank you so, so much for your openness, Caroline. I think it’s one of the truest currencies in this world (along with kindness/compassion). I’m right there’s with you. It’s been a dark year, and very hard for me to deal with gracefully. The quote you shared (I love Rolf Gates’ writing, btw) is wonderful, because it does help to remember it’s part of life’s path, and not some stumble off of it. This year has been like…OOOF. My poor little fledgling marriage barely survived it. But I’m stronger and my relationship is stronger from learning these new lessons. Also: thank you for the mixes/playlists! I LOVE them, and listen all the time. thanks for all of this caroline. i’m going through rolf’s book too, and really treading water in this season of life. really appreciate your honesty. The quote about darkness being part of the path is just what I needed to read right now. I’m at a point in my career where I thought I would be elated– I’ve been working towards it for such a long time. Instead, I’m a mess of anxiety and self-doubt. Thank you so much for sharing and for keeping it real. I came to your site hoping to find something comforting, and I did! Great post – thanks for sharing, Caroline. And I love the links! I am glad you had time away and even more glad you’re back! Welcome! I look forward to your posts. I recently quit my job to finish my degree. I feel a huge wave of relief over that, and no longer having to rush to cram everything into a few non work hours. At the same time I feel the weight of the massive privilege I have that allows me to do this and I have such complicated feelings about that. I hate living in a world with privilege and I want everyone to have the same chances. I’ve found in really encouraging and clarifying for me to read the work of different social ethicists to find one that helps guide my own choices. For me, I’ve closely identified with Peter Singer. This has helped me put words to the feelings, convictions, and motivations I have and that has brought me a lot of peace as well as given me direction for my actions. Maybe it can help you too :) lots of love. I also enjoy Yoga With Adriene. Another yogi YouTuber to check out is SarahBethYoga. Between those two channels, I always seem to find whatever kind of video practice that I’m looking for. I absolutely love your playlists! When I saw that you posted a new one I elbowed my boyfriend “there’s a new playlist” without further explanation and he immediately high fived me. Your Feel Good Fall playlist is one of the first things I ever sent him and we have loved listening to them ever since. Would love to check out the music you are enjoying. However, at this point in life cannot afford to pay for Spotify. Would you consider posting a list of the songs? Hi, I missed your posts and I was beginning to get worried about you. I don’t even know you in person but I still worried about your well-being. Sorry to read that you have not been well. But happy to read that you have taken up yoga teacher training. Congratulations and keep it up! 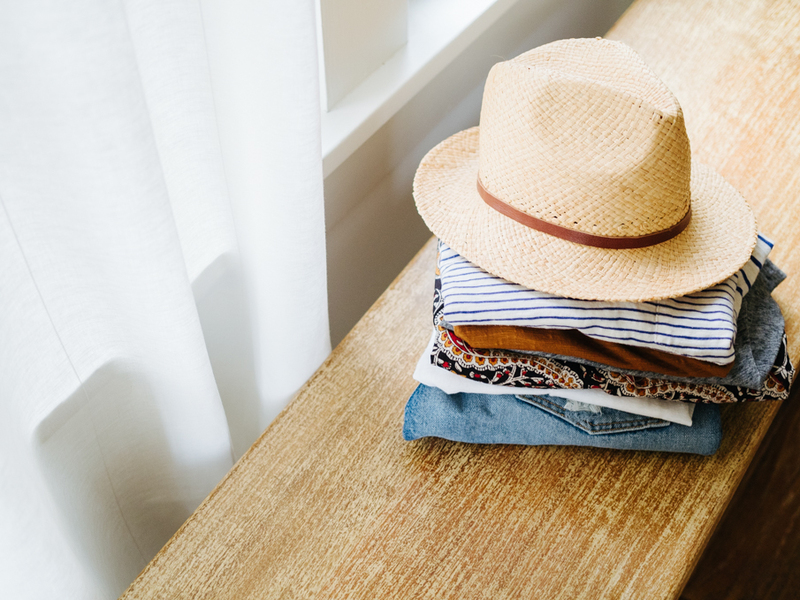 Reading your blog has inspired me to be more mindful of my wardrobe choices and helped me be less wasteful and dissatisfied. Thanks for sharing your passions and ideas with so many people. Praying your spirits are lifted soon! Sending the warmest thoughts to you, Caroline. I’m also a fan of 16 personalities.com and The School of Life. I’ll definitely try your other recommendations as well. I’m sending you caring for this time. For me, the only thing that works is just to wait it out and request a lot of hugs. Oh, boy. I have a lifelong struggle with anxiety. The more I learn, the more life tests me, and so it goes. Yoga, meditation, organizing, reading, and many of the tools I see you employing continue to carry me through. Rather unintuitively, having children has lessened my overall anxiety (although it has increased my stress– maybe it’s a zero-sum game?). Love those personality tests. I’m an INFJ, as I think I’ve read before that you are. My tolerant (INTP) husband has humored me years of discussions on this particular topic. I know you like challenges and this one will make you interested for sure! So glad you shared this! Everyone goes through different struggles in their lives, and I’m glad you took a little break for yourself. So excited for your yoga instruction training! Hey! I know you must be trying everything, Caroline, but I need to share one surprising thing that I discovered in my own growth. I have generalized anxiety and depression. I discovered that I have an adverse reaction to alcohol and always felt worse the day after any alcohol at all. It might be worth seeing whether that relaxing wine is actually a bit too much of a downer… I don’t know what to hope, because wine is really nice, but it would be even nicer if that anxiety monster could leave you alone more often. Good luck, good vibes, good tunes, and I hope the yoga helps! I’m sending you all my best. So exciting that you’re starting yoga teacher training! I’m sure you’ll enjoy it hugely! I think my “fantasy fall” might be the exact opposite of yours – I’d like it to be light sweaters and dainty layers, when the reality in England is that it’s rain jackets and winter layers :D I’m looking forward to seeing your transitional wardrobe edit though! So nice that you shared this moments with us. It really inspired me to do the same, with people around me. Sometimes I also feel anxious and lost and it’s hard to me to tell about it with other people, even the closer ones. You helped me see that it’s ok to feel that way sometimes, and it’s ok just let it be for a while. Thank you so much! Hope these emocional storms go away soon. For all of us! And now I am off reading some more posts on your lovely blog. I just love your blog, Caroline. And wow, I LOVE your playlists! I may have manically followed all of them. It’s so great that spotify lets you share lists this way. I really like the spotify curated “evening chill,” “deep dark indie folk” and “lush and atmospheric acoustic.” But honestly, I find a well-curated playlist so pleasing in almost any genre, even ones I don’t typically listen to. Most of my personal playlists err on the side of sassy, but I’m working on one that’s all slightly melancholy classical. Lots of cellos and piano and Spanish guitar. I’m going to try to convince my husband that we should pick up your evening walk habit. The TV is definitely on too much, especially in football season. But Autumn walks are the loveliest! Best of luck in your YTT, and in navigating your darkness. We gain so much by looking straight into it, and soldiering on. I would love to know what personality types you are! Wonderful to share yourself this way. In a world of “positive vibes only” shirts it’s hard to share the darkness but I agree with you it’s part of life and totally ok! Thank you for your post and good luck with your yoga training 💜! I can’t tell you how refreshing this post is. I’m new to your blog, and when I read this, I thought: this is a woman I’d like to know IRL. The Internet can so often be a Potemkin Village of happiness/glow/blessings. In some ways, it keeps us less connected because we don’t see the full picture of a life; we see only the photoshopped versions people are willing to share. So, big hug to you for sharing more than the glossy 8X10. Also, who doesn’t feel better when listening to Van Morrison?